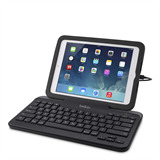 Wireless keyboards are not always permitted during standardized testing, and battery-powered or rechargeable keyboards can run out of power at inopportune times. 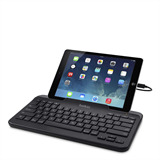 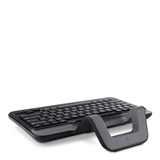 The Wired Keyboard with Stand connects to an individual iPad via a secure wired connection and requires no batteries or charging. 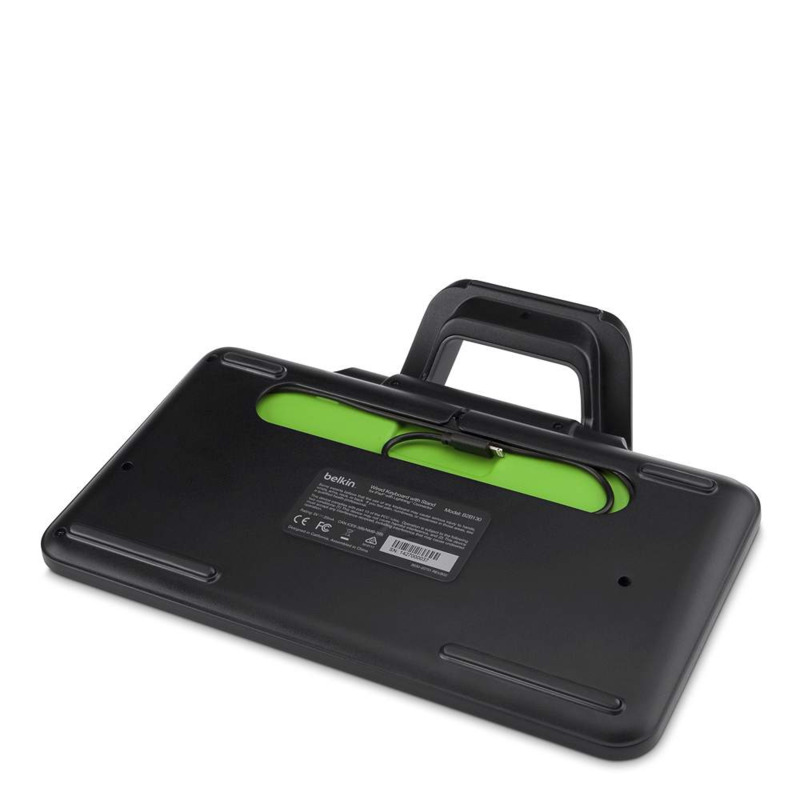 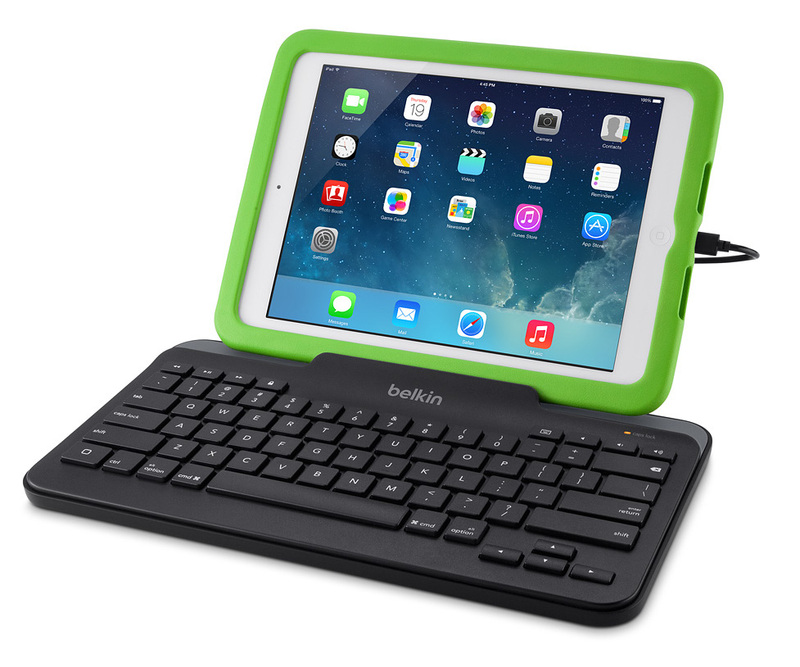 This makes the keyboard ideal for SBAC and PARCC testing as well as school deployments at any grade level. Designed with students in mind, this durable, lightweight keyboard features full-sized, well-spaced keys for comfortable typing. 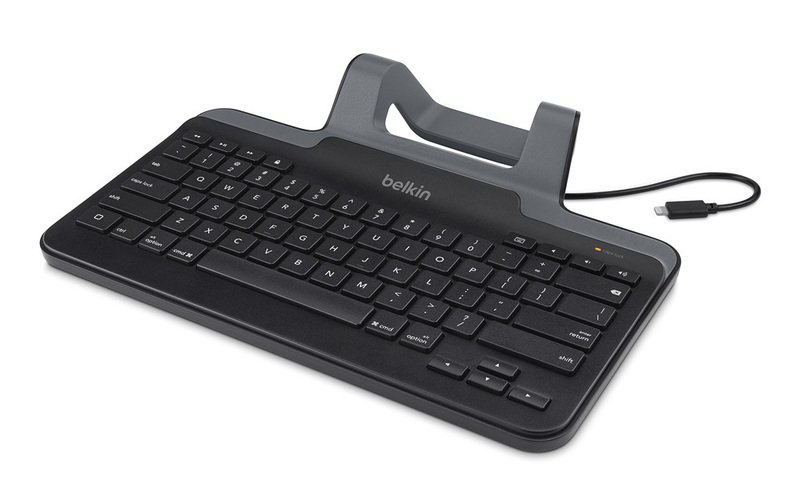 Multimedia controls offer convenient one-touch access to a variety of features, including volume, play/pause, fast-forward, rewind, and screen lock. 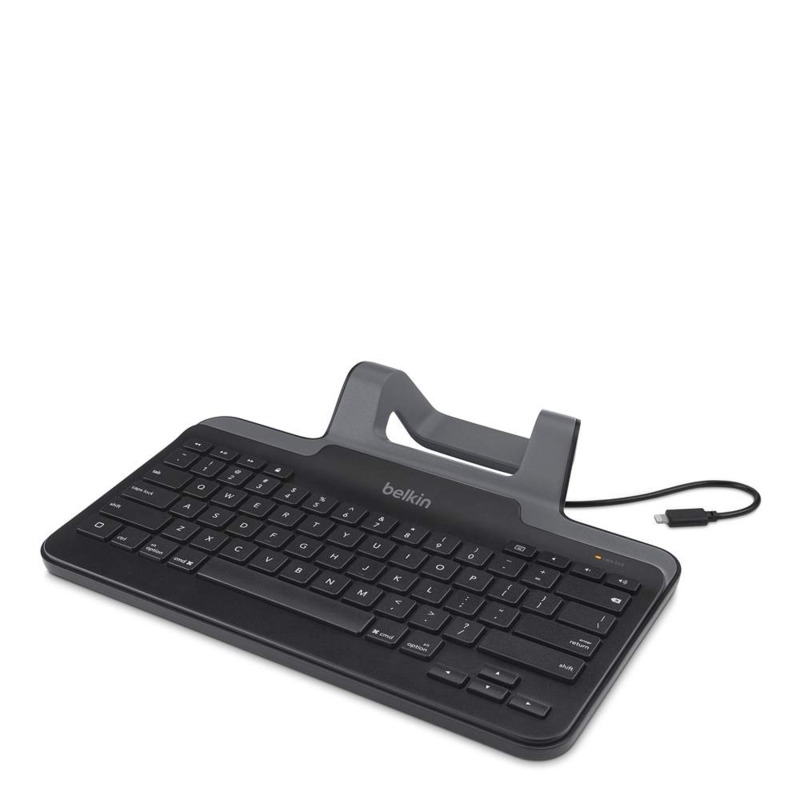 Full-size arrow keys allow students to navigate easily through documents and websites. An integrated stand holds the iPad in portrait or landscape mode and works with virtually any case. A cable management compartment on the back of the keyboard ensures that cables stay safely and neatly tucked away. 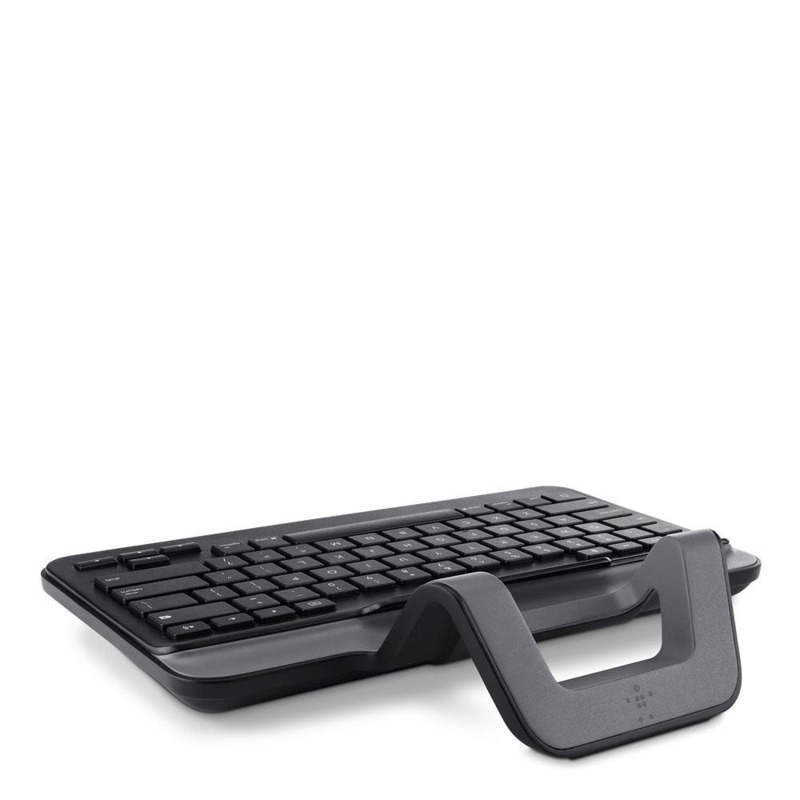 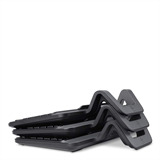 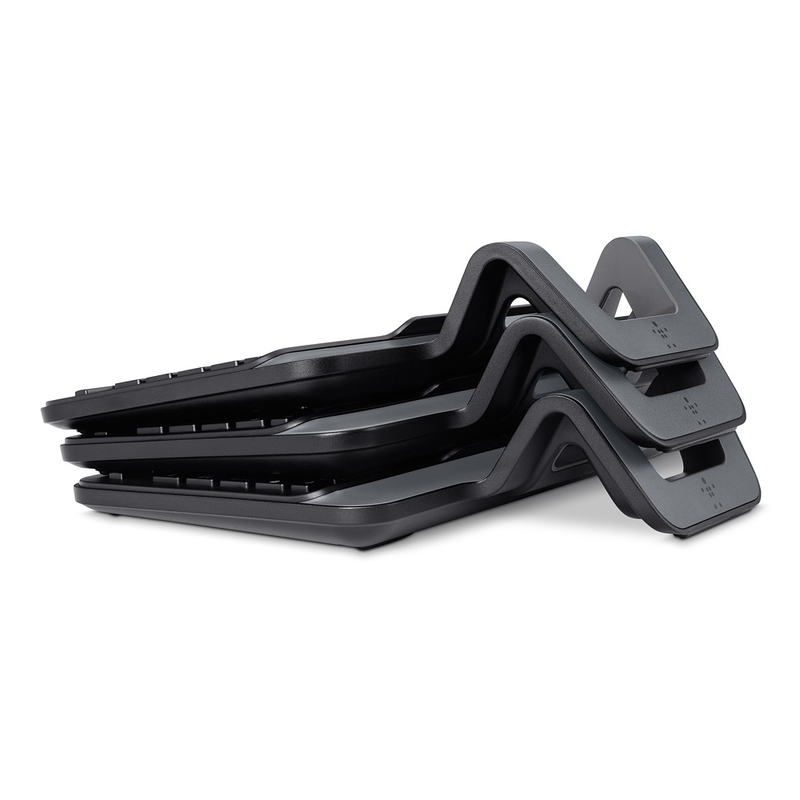 The keyboards stack together for easy storage and distribution.